Sunny Sweeney makes her highly anticipated debut at The Station! Sweeney’s salty wisdom and Texas-hewn soprano have never sounded stronger than they do on Trophy, her anticipated new album. 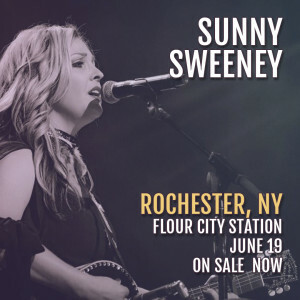 Sunny Sweeney’s wit and honesty has always defined her stone-cold country have blossomed into confessional, complex songwriting for grown-ups, still whiskey-drenched and honk-tonk-ready. Drugs, death, the ex-wife, drinking, devotion, and longing for a child: it’s all here, raw and real.